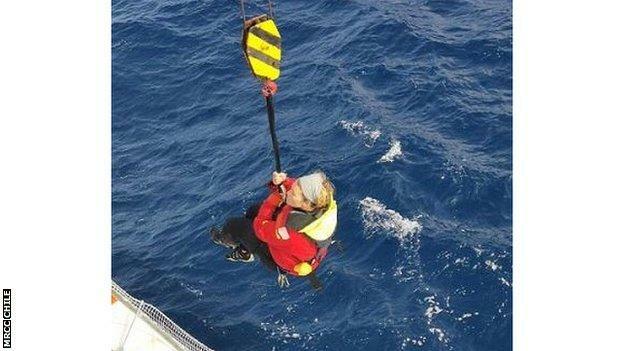 English yachtswoman Susie Goodall has been rescued by a 40,000-tonne cargo ship in stormy conditions – two days after her boat violently capsized 2,000 miles west of Cape Horn during the Golden Globe Race. 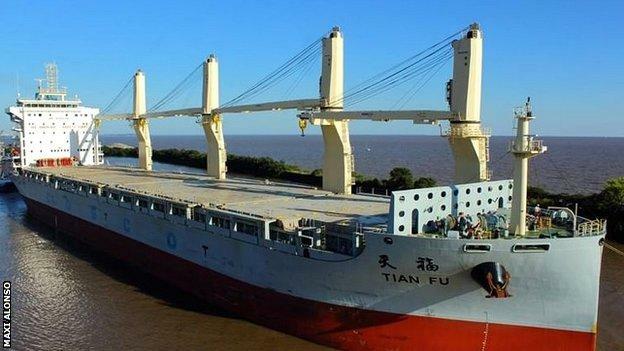 The 119-metre cargo ship had to use its crane to lift Goodall onboard. The 29-year-old lost her mast after her boat pitchpoled during the non-stop solo round-the-world race. Goodall, the youngest competitor in the race, said waves in the southern Pacific Ocean were about three to four metres high before the rescue mission. Conditions were considered too difficult to launch a rib-boat from the Tian Fu, which was diverted to rescue her during its voyage from China to Argentina. With her mast-less boat pitching up and down in the waves, the plan was for Goodall to manoeuvre her DHL Starlight vessel alongside the moving cargo ship and use a harness to attach herself to a swinging hook. But after her boat’s engine stopped, the Tian Fu’s captain had to move his ship to meet Goodall. Golden Globe founder and organiser Don McIntyre admitted beforehand the procedure would be “tricky”. Goodall was in fourth place when her boat capsized in 30-35 knot winds, following a failure in the automatic steering system. The pitchpole – rolling end over end – was so violent she was knocked out. When she came to, she raised the distress signal, which was first picked up by Falmouth Coastguards. She then tweeted to say she was “totally and utterly gutted”, and has since been seasick because of the mast-less boat pitching in the waves.